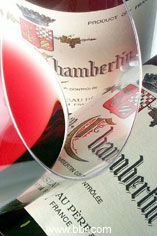 The 2005 Gevrey-Chambertin captures the richness of the year in its pliant, open personality. Wonderfully dense and expressive, especially for a village-level wine, the 2005 is drinking beautifully today. 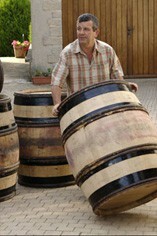 Worn-in leather, spices, tobacco and dried dark cherries meld into the succulent, expressive finish. This is a terrific village-level offering from Rousseau. The Wine Advocate - The domaines 2005 Gevrey-Chambertin represents a union of fruit from many different parcels south and east of town for which the fruit was de-stemmed. Flatteringly sweetly-fruited, indeed subtly candified on the nose and palate, it offers a roasted underlying meatiness and subtle hints of caramelization continuing with a satisfyingly sweetly-rich, gentle finish. In short, as is the proprietors intent, this is supple and agreeable not to mention reeking of vintage-typical ripeness. Burghound - A lovely and expressive nose that is unusually broad relative to its normal backward state features a pretty mix of red, black and violet earth-infused aromas that lead to rich, supple and round flavors that possess good depth and a nervy and racy finish, all wrapped in a nicely long finish.